"Joy is a skilled and intuitive practitioner of acupuncture and Chinese medicine. As a patient who benefits greatly from acupuncture but is very sensitive to needles, Joy treated me with respect and compassion. I would recommend Joy to anyone seeking natural pain relief and expert advice on health and well-being." "I began seeing Joy Blais for help with my migraine headaches. Words cannot express my complete gratitude to her and her wonderful talent. She is warm, kind and caring and truly possess a natural gift for acupuncture. Joy has changed my life for the better in so many ways. My headaches are nearly nonexistent and she has also helped me with some digestive issues that I was having. My mood has improved and I feel as though she has given me my life back. Joy is WONDERFUL!" "Joy Blais has treated me on various occasions over the past couple of years. She has always had a gentle and thorough approach. The most significant treatment was when I experienced extreme sciatic pain for the first time since pregnancy. Sharp pains in my left side persisted for many days, making my work and daily tasks difficult to accomplish. Instantly, there was substantial relief after Joy's treatment. I felt 95% better, and in the following week the pain had ceased altogether." "I have been seeing Joy for 3 months now and every session I had with her has been a wonderful experience. I see tremendous improvement on my energy level. She is a great acupuncturist who really cares about her patients. And the most important thing for me is: she listens. We are so blessed to have her in Portland. Thank you Joy!" "Joy recently helped me get through a bad case of shingles. Her smiling face, compassion and competent experience with acupuncture gave me daily relief. I recommend her for any kind of pain relief. I have also used her for headaches, neck and back pain and got immediate results"
"I went for sciatica treatment. Joy Blais shared her knowledge of nutrition and Oriental medicine -- very holistic approach. Truly appreciate and I am having great healing progress." "Joy performed a miracle. She fixed my wrist, which was painful for months. It was the first time with Acupuncture and Joy was so cool about the whole process. And she was very nice and respectful. After two sessions my wrist was getting better and after three sessions the pain was nearly gone. 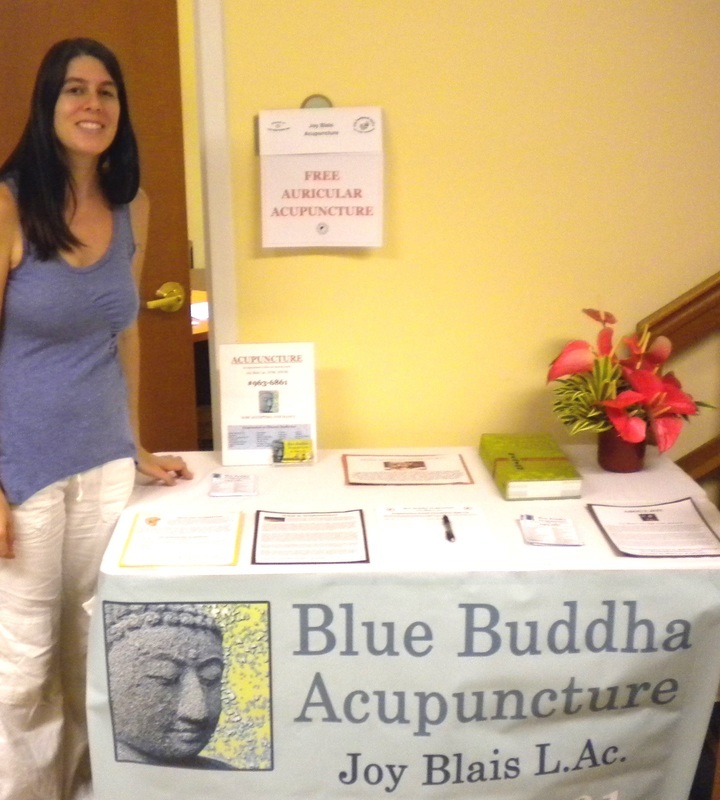 I became a believer of Acupuncture and would definitely recommend Joy Blais." "I was really struggling with allergy and stress induced headaches for well over three years. So I decided to do something good for myself and look into possible alternative treatments and that's how I discovered Joy at Blue Buddha….Joy introduced herself and we sat down to talk about my issues. She has a very kind and compassionate way of communication. Something I was missing from my regular doctor. After she got a sense of what type of treatment I was looking for I was able to hop on the table and begin my acupuncture treatment. I've never experienced this before and I really didn't know what to expect. But it was painless and really kind of interesting. After everything was said and done Joy sold me some really great products to help with my allergies. Some Chinese herbal supplements and a neti pot for my nose. I went home that night and used the neti pot and took my first dose of supplements. I honestly can't remember the last time I was able to breath that clearly and sleep as deeply as I did. I woke up the next morning feeling well rested and best of all - NO sneezing or bloody nose. I've since been back to see Joy once again for a follow up and I still feel great. I would highly recommend her services for anyone who is even remotely interested in acupuncture. 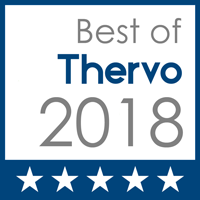 It doesn't hurt and you leave feeling super mellow…"
"I couldn't have been more pleased with the skilled and compassionate treatment I received and my symptoms have improved significantly. I'm very grateful for the help I've received and I have no reservations about recommending her wholeheartedly." "Joy, I just wanted to thank you so much for the wonderful treatment yesterday!! I am feeling sooo good today! My back feels better than it has in a long time and I never woke up in the night!!" "I was a bit apprehensive about trying Acupuncture. I had heard of people having excellent results from their experiences. I found Joy an absolute pleasure. She explained everything that she was doing, prior to performing the Acupuncture. The best part was the warm welcome I received when I arrived. She talked with me, asking about my health history, and what I was expecting from my visit. I felt really good after I left, and I am looking forward to my next visit." "I felt very at ease with the service I received. Joy was very professional. I definitely feel better. My knee and shoulders feel more mobile." "Joy Blais treated me for low back pain and sciatica on two occasions. I decided to try acupuncture because I had hurt my back and the pain didn't go away. I felt better immediately after one acupuncture session and then quickly recovered altogether, so when I hurt my back again several months later, I had her treat me again. She has a gentle touch and is skilled and knowledgeable about what she's doing. She always takes her time, listens to what I have to say, and checks in with me to make sure I feel comfortable during the treatment. I highly recommend her!" "I have seen countless doctors over the years in search of relief from digestive issues/pain. After my very first treatment with Joy, my pain subsided! I will certainly be back for further treatments and so appreciate Joy's knowledge, expertise, and kindness." "Joy Blais is an extremely knowledgeable acupuncturist and has helped me greatly; particularly in relieving pain and staying balanced during difficult times. I highly recommend her." "Joy is Amazing. She is a true healer. I went to see Joy for acupuncture after getting into a car accident. My body was anxious due to the accident and I was suffering from anxiety attacks. Joy worked with me and we worked through my anxiety. I got home feeling light, happy, and just magical...I thank her for her work and her care." "Really appreciate the time Joy took to listen my story and gather the information. The treatment she created was very intuitive & effective." At the 2012 Early Signs Health Fair giving acupuncture treatments and educating the public on the amazing benefits of Chinese medicine!